A landowner from the Hides Gas project area has thanked the Prime Minister and his Cabinet for offloading the Bougainville Copper Limited shares to the Panguna landowners and their government. 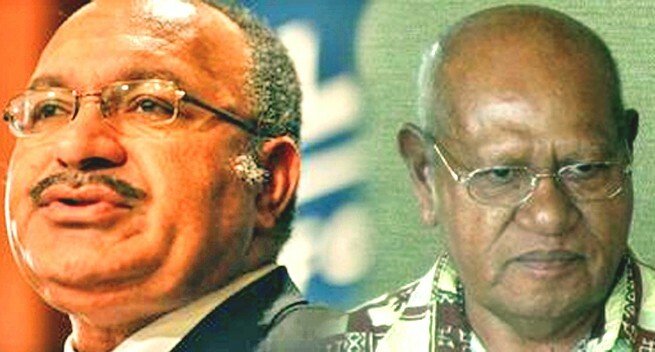 Andagali Kurubogo, the customary landowner of the Hide Gas Project from Hiwa Komo ILG said; "This shows our brothers in Panguna have not died in vain, and you as our current Prime Minister is a man above men, while Rio Tinto had done the right thing in our eyes." He also thanked the O’Neil /Dion Government for doing the same for the Ok Tedi landowners and their government. "It is now up to the anthropologists to identify the customary land title owners and help them to distribute the benefits based on their customary land tenure and benefits distribution principles," Mr Kurubogo said. "As for the 2.47 per cent PNG LNG equity, I request you our good Prime Minister to hold onto it until after the Hides ADR process, led by Judge Kandakasi, has completed its findings. This ADR process should reveal the settlers clans, the adverse possession landowners and the natural customary land title owners of the Hides Gas project lands," he said. "The ADR decision is the most essential requirement here because, then and only, will we know who should take the lead in purchasing the Additional Equity for and on behalf of all Hides Gas Project area landowners."